Common Ground Capital (“CGC”) was formed in the spring of 2012 to deliver best in class landscape scale compensatory mitigation solutions for endangered, threatened or imperiled species. Over six years later we have successfully achieved the majority of our objectives by partnering with our land owner, equity investor and other best in class partners. Deliver best-in-class mitigation solutions to provide the upmost certainty to all relevant stakeholders. We provide certainty to conservation sites for the targeted species and their landscapes by protecting them forever under the robust, rigorous and proven USFWS conservation banking model. We provide certainty to our industry partners by enabling the full transfer of liability away from their projects under the Endangered Species Act with the assurance that their investments are delivering actual, quantified conservation benefits to the species. We provide certainty to our landowner partners under a free market mitigation business model that recognizes that they have a scarce and valuable resource on their property. Our compensation model allows landowners to receive a meaningful up-front payment that allows them to make independent financial decisions for their operations and their families versus a government type least cost annual payment structure. 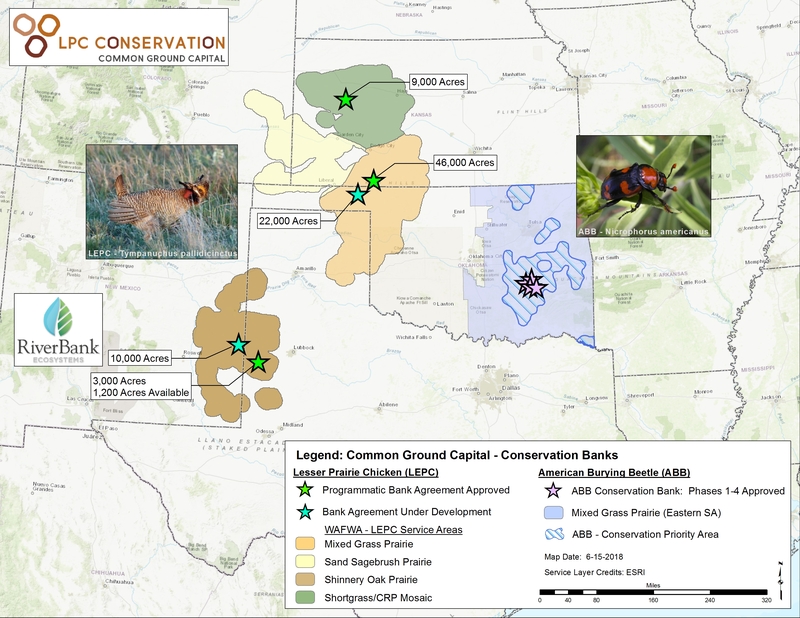 Currently, our focus is on the Lesser Prairie Chicken and American Burying Beetle. We have and will continue to monitor other species market opportunities as warranted. Achieved full conservation bank approval (February 2014) for property adjacent to the Keystone McAlister Conservation Area. The combined projects will permanently protect 1,600 acres of key habitat for the ABB.